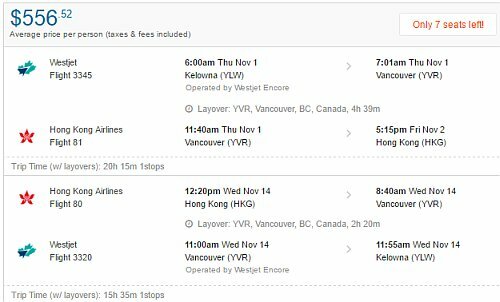 WestJet and Hong Kong Airlines have dropped the price of their flights from Kelowna to Hong Kong down to $575 CAD roundtrip including taxes on a large number of dates throughout 2018 and into 2019. 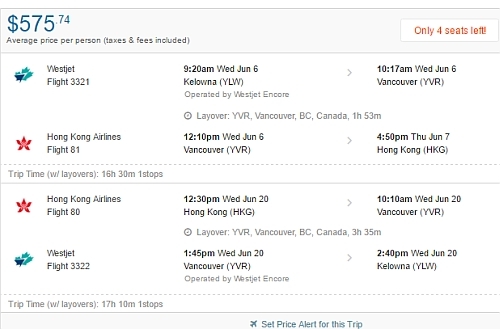 The flights have 1 stop each way, in Vancouver, ranging from 2 to 5 hours. Here are some example dates you can start with, but there are definitely more dates available. Once your Flighthub search completes, click on the 'Flexible Dates' tab to see more dates for $591 roundtrip. Shorter and longer trips are available. NOTE: Once your Flighthub search completes, click on the 'Flexible Dates' tab to see more dates for $575 roundtrip. If you find that one of the flights has a long layover (more than 5 hours) - try searching dates that are 1 day before or after. 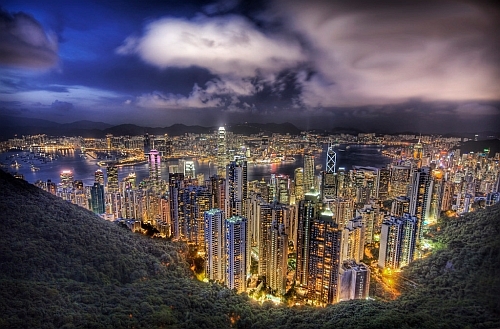 kelowna, YLW, flight deals, hong kong, hkg, asia, east asia or hong kong airlines.